SONOMA, California (July 26, 2018) – Bob Tasca III will return to the Sonoma Nationals at Sonoma Raceway in Sonoma, California for stop two of three on the western swing. Coming off a first-round loss in Denver, Colorado last weekend, Tasca remains optimistic going into Sonoma. “I have never been more confident behind the wheel of my Ford Mustang than I am right now. We had a tough weekend in Denver but I have a very talented team and we will bounce back strong this weekend in Sonoma,” said Tasca. Tasca will be back behind the wheel of his AutoAlert Shelby Ford Mustang this weekend. 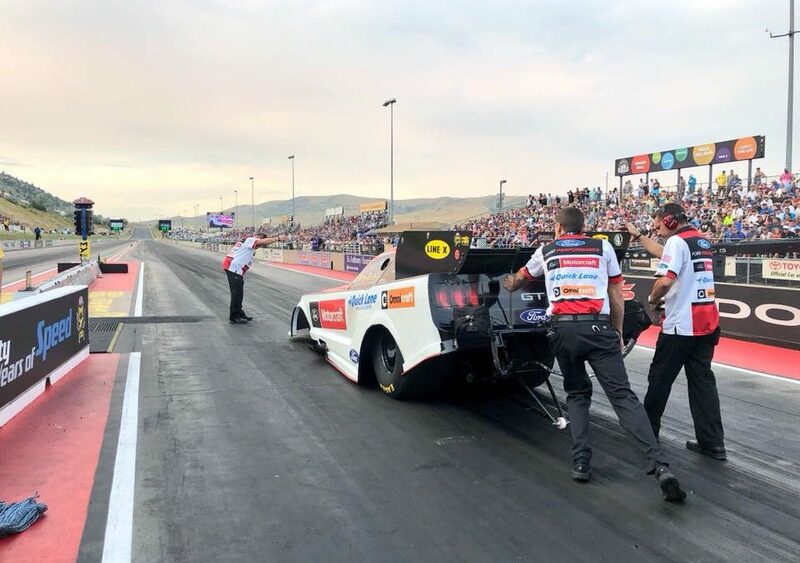 Although he was able to maintain 10th the points after Denver, he knows that there is no room for errors if they want to run for the NHRA Mello Yello Championship. “I knew starting this season with a brand new team it was going to be a fight to make the top ten and make a run for the championship, but we are up for the challenge. Sitting 10th in the points puts a bulls-eye on our back and we are focused on moving up the point ladder before we arrive at Indianapolis. This weekend is a very important race for our team,” Tasca said. Qualifying for the 2018 Sonoma Nationals will feature two rounds of qualifying Friday, July 27, at 5 and 8 p.m. The final two rounds of qualifying will be Saturday, July 28, at 2 and 5:35 p.m. Final eliminations are scheduled for Sunday, July 29, at 11 a.m.